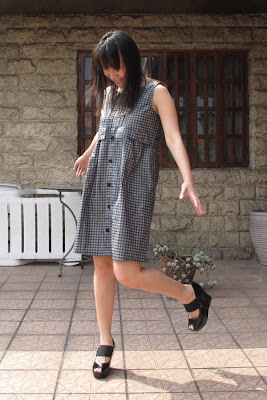 I declare my love for anything gingham, babydolls & platforms. So that's how I came up what I'm going to wear today. Never mind the fact that I just tripped over the stairs a few days ago because of my damn shoes and also for me not looking where I'm suppose to. Hahahaha. Though I must confess I really do hate wearing peeptoes. They usually hurt my feet, they just look too cute for me not to keep on buying them.